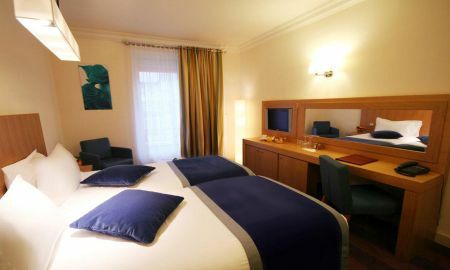 Located in one of Paris’most popular districts, near the Arc de Triomphe, the Champs-Elysées and the Palais des Congrès, the Hotel Westside Arc de Triomphe offers a typical Parisian stay, appreciated by business clients. Its relaxation area around the pool invites you to enjoy a serene experience of well-being. 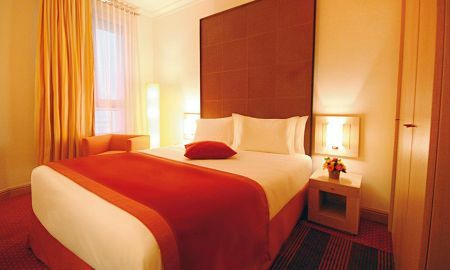 The Westside Arc de Triomphe four-star hotel is a real haven of peace where you will enjoy the comfort of its rooms characterised by a contemporary decoration. 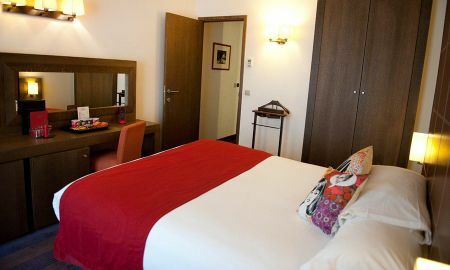 The Hotel Westside boasts a favoured situation in a quiet one-way street (36 rue Pierre Demours), in the 17th district of Paris, in the west part of the French capital. 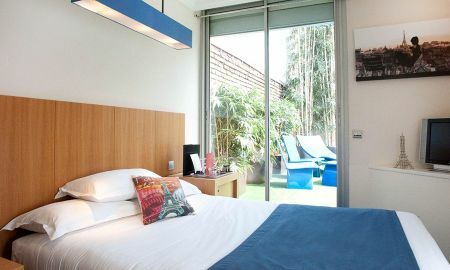 It rises next to remarkable Haussmann style buildings and to many cafés, restaurants, shops, in a lively and vibrant area.